Two hundred and fourteen years to the day Richard Somers died in Tripoli harbor while fighting Barbary Pirates, he is remembered by U.S. Navy veterans who are dedicating a plaque to honor the ships named after him. The USS Somers Crewmember Association was formed on April 26, 2010 when 20 former shipmates of the USS Somers (DD947) met in Oklahoma for their first formal reunion. Now numbering over 300 on their roster from three modern era ships named after Richard Somers, one of the first midshipman of the US Navy. There are 11 from the USS Somers (DD381) that saw action in World War II, 125 from USS Somers (DD947) and 197 from USS Somers (DG34). 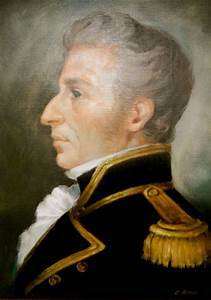 At this year's annual reunion in June in New Orleans, they set a number of goals, the first being the purchase of a commerative plaque that will be dedicated at the US Navy Yard on September 4, the 214th anniversary of Somers' death in the explosion of the USS Intrepid in Tripoli harbor. According to Bob Plante, the association's administrator, "Our second goal is to get the Secretary of the Navy to name another U.S. Naval Vessel 'Somers.'" "We hope to be successful in having a seventh USS Somers and an active duty crew to carry on the Somers tradition of excellence." "This can only help the continuing efforts of repatriating our namesake and the heroes of the Intrepid." For more information contact Bob Plante somersdd947@gmail.com.